In Drink, Guides, Mid-Michigan, Southeast Michigan. Michigan wine touring is an adventure that can comprise a whole weekend of wine, food and beautiful vistas. Although Michigan’s pinky may be known for these, you may not realize there is a great wine trail in southeast Michigan worth visiting. The Southeast Michigan Pioneer Wine Trail includes eight wineries, stretching from Adrian to Haslett. Touring this trail is at least a two day event, especially during a trail wine and food pairing event weekend. I’ve taken it both as a girlfriend’s weekend and as a family event, and I will share some of my tips and tricks that I found from the trail. I usually start at the south end and work my way north, but first I’m sure to pack the car with snacks to eat between stops. The southern-most winery in Adrian is out in the country among the vines for that quintessential vineyard feel in a cozy three-season tasting room. There are many cute shops in Tecumseh that I missed including a bakery and a cheese shop. They are definitely on my list for next time! 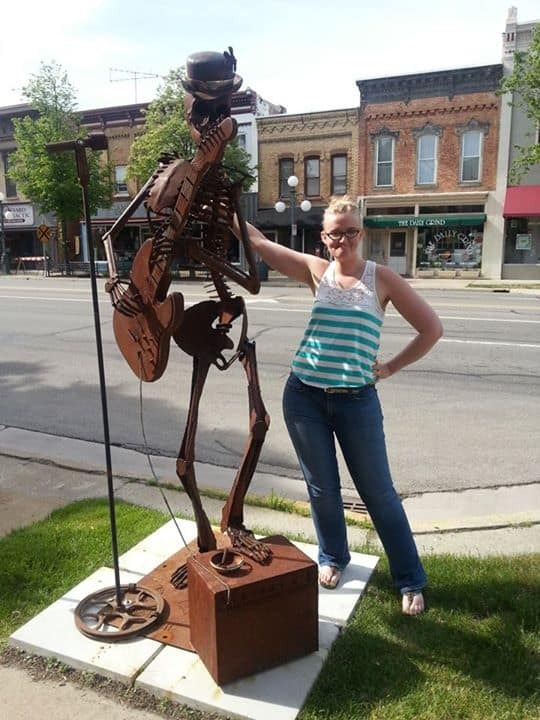 Be sure to check out the Art Trail exhibit in downtown Tecumseh, which is part of the Midwest Sculpture Initiative (Ella Sharp Museum in Jackson has some too!). 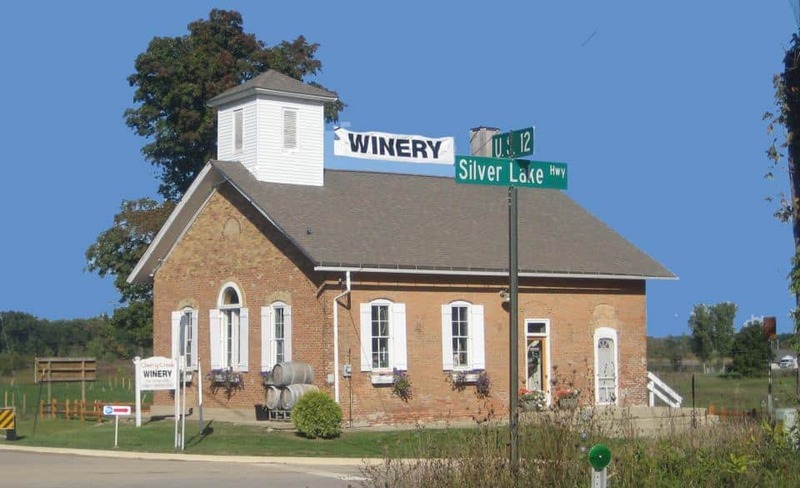 Right in Downtown Tecumseh, this stop is considered an “urban” winery located in the heart of downtown Tecumseh in a beautifully renovated building from the 1870s. One of my favorites, they fit in perfectly in their new location in an old mill with a canoe livery next door. They produce hard cider and sparkling wines as well, and the shop serves snacks and mini pulled pork sandwiches. Home to Michigan International Speedway–not only the fastest track in NASCAR but also the home to the Michigan Wine and Beer Festival in May. Here in the middle of the Irish Hills, a.k.a. “Heart of the Lakes,” more than 50 lakes surround you while beautiful, natural vistas like Hidden Lakes Garden beckon. This stop is in one of the coolest buildings on the whole trail, an historic 1870s schoolhouse! They even let you ring the bell if you finish a bottle during your tasting. They have appetizers available to pair with your wine, and they offer cider and beer from Grand River Brewery in Jackson. The many parties outside under the pergola lend themselves to picturesque vineyard views. This is usually where I stop and break for day two. My favorite options for dinner include The Pointe, Beach Bar, In Good Company or Shady’s Tap Room. Breakfast is highly recommended at Grass Lake Diner, who just got 3rd place in MLive’s ratings for Michigan’s Best Breakfast. This stop in Grass Lake is where you can buy L.O.V.E. in a bottle. They also brew beer on site in Tootsie’s Brewery and serve delicious flat bread pizza. Saturday candlelight dinners feature live music that accompanies your romantic dinner and wine pairing. Plenty of attractions in Jackson to keep you busy between tastings. 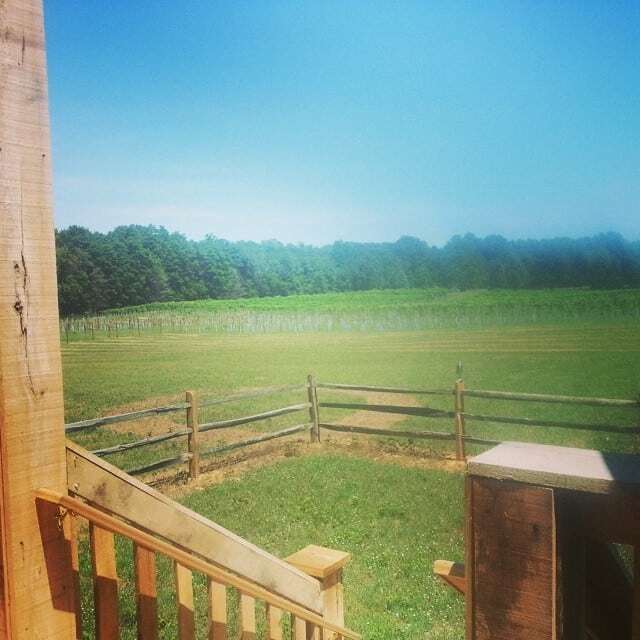 Another favorite stop, this beautiful vineyard also features delicious food in the café. This is the stop to order a soup or sandwich for lunch, and their menu also includes vegetarian options! 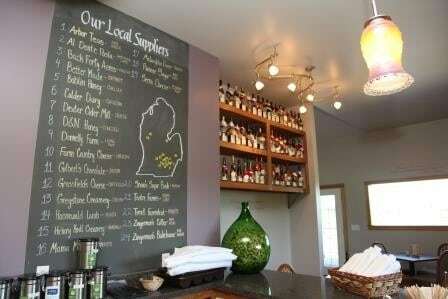 Check out the Michigan map on the wall to see all of their local food suppliers. With a theme of grassroots aviation, this tasting room on the grounds of an aviation community focuses on creating French style wines from Michigan grapes. If Lorenzo is on site you may even hear fascinating tales of his day job as a commercial pilot! I have not personally made it to this winery in Haslett, which just celebrated their 10th anniversary, but I have tried their wine at a few wine festivals, like Ella Sharp’s Art, Beer & Wine in June. Have you been to Burgdorf’s? What did you think? What’s your favorite winery on the trail? Tagged Adrian, Brooklyn, Food and Drink, food and wine, Grass Lake, Guides, Haslett, Irish Hills, itinerary, jackson, Lansing Area, Mid-Michigan, Pioneer Wine Trail, Tecumseh, Tour, Wine, Wine Tour, wine trail, wineries, Winery.